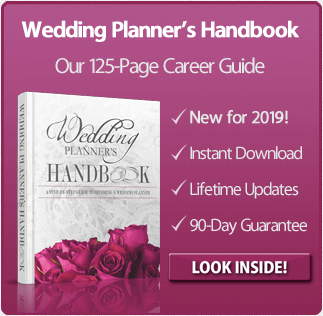 Learn How to Become a Wedding Planner. Is A Wedding Planner Career Right For You? As a wedding planner with years of experience in the events industry, I can honestly say that my first few months in the business challenged my ideas of what a wedding planner really is. The daily stresses and personalities that came with the career were almost too much to handle at first. Many people see the wedding planning career as a romantic and filled with extravagant parties, unlimited budgets, and clients who nod to your every word. This is often the exception, not the norm. In this article, I’d like to explain everything that a wedding planner career is and just as importantly, everything it isn’t. I still wouldn’t trade my job for any other, but it does come with its fair share of challenges. One of the biggest differences between a standard job and a career as a wedding planner is the time commitment. If you want to thrive as a planner (both financially and professionally), you have to make yourself available before and after the normal 9-5 work day. Some clients will call you at 9PM and expect an immediate answer to their burning questions, and if you are new to the business and trying to earn a good reputation, you will need to take that phone call with a smile. And before you say to yourself, “No, not me; I’ll set boundaries from the start,” just remember that frantic brides won’t always respect those boundaries and an unresponsive wedding planner can turn into a very disappointed client, whether it was your fault or not. My best advice is this: if you have a passion for being a wedding planner, learn to love the calls and the unscheduled consultations. If you are not passionate and learn to roll with the punches, the punches will eventually knock you out and you’ll begin to look for new employment. Inevitably, some vendors will want to pay you a commission for promoting their services above others. In these situations, remember that you are working for your client, so you must ensure that the vendor you are recommending lines up with your client’s needs and fits within their budget. You must be willing to put your client’s needs above your own, even if that means making a little less commission on the side. In this business, reputation is everything, and it’s certainly not worth risking your image over a few extra dollars. During my years as a wedding planner, I’ve received phone calls at 6AM on the morning of a wedding from a vendor stating they cannot fulfill their contractual obligations. Most people would panic at this point (especially your bride if she found out! ), but as a wedding planner your job is to remain calm and immediately begin problem-solving. Whatever you do, don’t tell the bride unless you absolutely need to. They hired you to handle any situation that arises, not to redirect all incoming problems back at them. I have been in situations where a couple’s cake has melted, a bride’s dress has not fit, or a vendor has not shown up, and all of these issues, while beyond my control, ultimately became my issue to address. Building relationships with other vendors is imperative, not only to building a successful referral network, but also for having key resources that you can call upon at a moment’s notice. I am not a cake designer, but it was my job to smooth the icing on the cake and move it to a cooler place. I am not a seamstress, but I had to quickly pin the dress and calm the bride. I am not a DJ, but it was my responsibility to call upon a trusted DJ in my area and coerce him to step in for the DJ who did not fulfill their contractual duties. Your job above all is to ensure that the client enjoys their wedding day without a hitch, and whenever possible, occluding any problems that arise until after all the festivities are over. Sensitivity is key when being a wedding planner. You have to be sensitive to needs of multiple people involved in the planning of one event. Emotions run high, tempers flare, tears flow and usually the wedding planner is the one caught in the middle. You must have a calm personality and be a source of comfort for others in high-stress situations. Sometimes you may have a bride and mother who do not agree, split family situations, even vendors who do not follow through with their contractual obligation. There will be times that you want to walk out, or “tell it like it is,” but your top priority if to extinguish fires, not fuel them. It is not your place to point fingers or place blame, but to be the calm during a storm and create an enjoyable experience for everyone involved in the event. For a lucky few, most of the character traits you’ll need to be an expert wedding planner will come naturally. For the rest of us, these are all skills you will just have to learn in time. Let me tell you: if you freak out at the thought of a vendor not showing up at the last minute, you are perfectly normal. Not everyone has ice running through their veins, but not to worry: you’ll learn how to channel these emotions into productive activities as you gain experience. In no time at all, your clients will be asking you how you were able to keep your calm when they felt overwhelmed for half the night. You’ll be proud to tell them that luckily they won’t need to plan as many weddings as you did to find out! Is getting wedding planner certification necessary? What if you’re already creative, crafty, talented and great with details? Where is the best place to get certified as a wedding planner? 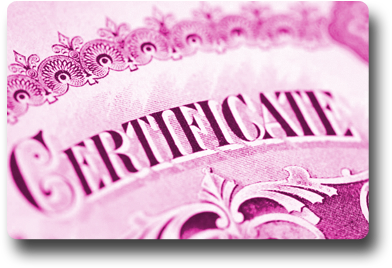 What about online wedding planner certification? In today’s competitive atmosphere, wedding planning certification is becoming more and more necessary for aspiring wedding planners. In this article, we’ll go over the different reasons to complete wedding planning certification and where to find the best programs. Let’s start with what I consider to be the most important of all. In my estimation, the most important reason to become a certified wedding planner is to learn the marketing, advertising, merchandising and bookkeeping of the wedding planning business. I come across so many aspiring wedding planners who are masterful at planning weddings but quite lost when it comes to running a business. The two seem to require different parts of your brain and a big part of being successful in this industry is learning how to master both of these skills. You can waste a lot of time and money if you learn how to market and advertise your business by trial and error. 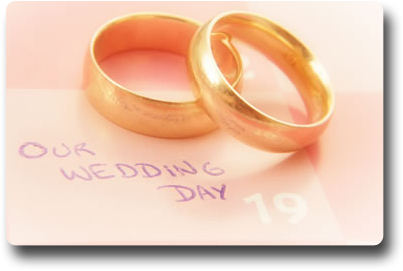 In most cases, brides will hire their wedding planner early in the planning process. Therefore, it will be several months or quite possibly a year before your first wedding will take place, even after you’ve gone through the process of booking your first client. This means it may be a year before you have a review and photos of a completed wedding to use to attract more clients, so quick and effective advertising and marketing is key. When it takes a minimum of 6 to 12 months to start correcting your mistakes, being well-prepared is invaluable. The second reason to go after your wedding planner certification is your reputation. Learning from an accredited wedding planning certification course instead of learning on the job will hopefully result in great clients reviews starting with your first wedding. As you can imagine, great reviews are crucial in the wedding planning business and one bad review on Yelp or WeddingWire can spell doom for any wedding planner starting out in a competitive market like New York or Los Angeles. On the flip side, one great review can be seen by many potential clients and result in quickly building your business faster than even you anticipated. Most online reviews platforms will not allow a bride to give a review until her wedding has taken place, so every one of your initial weddings needs to result in a great review on these sites. Most brides have been dreaming of their wedding since they were little girls and if they haven’t, you can be sure her mother has! A wedding is one of the most important days in a person’s life and typically the most expensive event they will ever plan. They are hiring you–the professional–to ensure it is exactly as they have envisioned and everything goes as planned. And in today’s society, even one mistake is one too many. The more you learn from the mistakes of others or mistakes you make in the classroom, the better off you, your business and your clients will be. The bride and groom hope to never have to plan another wedding, so they’re expecting nothing short of perfection. Unfair? Perhaps. But it’s the nature of the business and those who thrive in this industry are those that know how to keep their errors to a minimum. The fourth and final reason for getting wedding planning certification is the infinite details that go into planning “The Perfect Wedding.” Everyone has this vague perception that weddings are complicated, but you only really begin to appreciate the immensity of the task once you embark on the journey of actually planning one from concept to completion–especially a wedding involving two large families. It only takes one forgotten detail for a client’s entire wedding to go wrong and the only acceptable person to blame is the only person who is unaffiliated with anyone else–that’s right, you! Most venues require all set up to be done the day of the wedding. Therefore, if a detail is forgotten or (even worse) you were never aware it was your responsibility to begin with, many times it is too late to correct it. And rest assured, on the day of the wedding every detail is the wedding planner’s responsibility in the clients’ and guests’ opinion. An established and accredited wedding planning certification course will furnish you with forms and lists that will assist you with knowing and remembering all of these details. Although there are plenty of businesses that offer wedding planning certification, there are only a few that offer an educationally accredited course, which includes the business, design and planning aspects of wedding planning. You may decide to work for/with another wedding planner or an event planning company in the future and you want your wedding planning certification to count for something. I’ll mention two programs that have become popular among wedding planners and have gained the respect of the industry as a whole. The Wedding Planning Institute offers several certification options and is accredited by the US Government Department of Education. They offer three to four month classroom courses at local universities and colleges across the country. They also offer online courses, self study courses or an exam-only option for experienced wedding planners. The classroom courses typically include assistance with obtaining an internship, which would be the best way to quickly get referrals and portfolio photos without having to wait several months or a year for your first wedding. The cost of their online course is $995-$1500 depending on your payment option. The Wedding Planning Institute also offers additional courses in wedding and event design, floral design, and green wedding design, among others. Penn Foster Career School is another popular choice for wedding planning certification. They have numerous accreditations and are approved by the Association of Bridal Consultants. The cost of the Penn Foster Career School’s online course is $609-$799 depending on your payment option. The Penn Foster wedding planning certification comes with a six month membership in the Association of Bridal Consultants where you can begin your work towards becoming a professional or master bridal consultant. The reality of the situation is this: wedding planning certification is not a necessary if you already possess the relevant business expertise and are already proficient enough to handle the details, design, color and networking involved in planning a wedding. After all, brides depend more on reviews and referrals than they do any certification. But for the inexperienced wedding planner who wants to gain an edge in the game and isn’t quite ready to fly with her own two wings, achieving proper wedding planning certification is just the right first step to take. And if you’re afraid of the pricetag, just imagine you’ll make all of it back (and then some) from your first paycheck! How Much Do Wedding Planners Make? How Much Do Wedding Planners Charge? Wedding Planner School: Do You Need It? What Does a Wedding Planner Do? 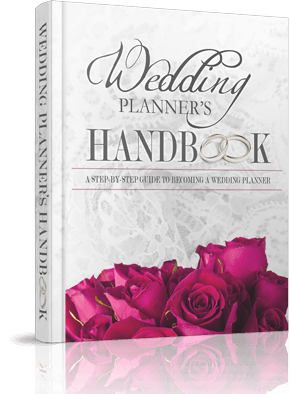 New for 2019, check out our bestselling book, Wedding Planners Handbook!